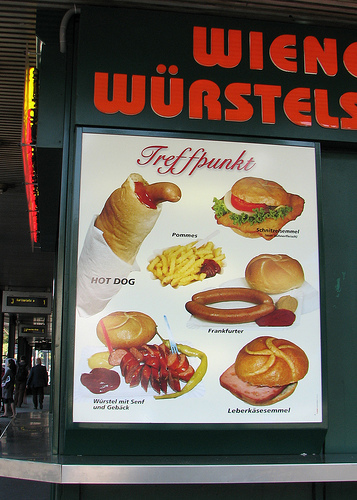 Like Germans, Austrians generally have a light breakfast, then a large lunch, and a light dinner. 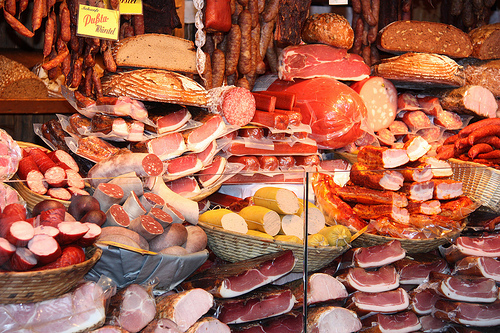 Snacks are common in Austria, because the period between meals is often a few hours. Sausages are a common snack. Many of us are probably familiar with “Weiner Würstel,” which simply translates as “Vienna Sausages.” This is why sausages are often called “Weiners,” which are similar to Frankfurters.The term “Weiner” just means that they came from Vienna, or “Wien” (in German). There are many different types of breads and rolls, which differ depending on what region of Vienna you are in. Austrian Gulasch is also different from the traditional Hungarian style. In Austria, Gulasch is a thick stew with meat and vegetables, which is often served with dumplings. These dumplings, or “Knoedel,” are very popular. Never cut an Austrian dumpling with your knife. Hold it in place with your knife, and cut it apart using your fork. While eating, be aware that business is not an appropriate topic to discuss during dinner. It is rude to talk about professional matters unless the host initiates the issue. When you finish dining, you should put down your knife and fork side by side on your plate at the 5:25 position. If you leave your utensils on your plate during dinner, that means that you’d like more food. Try not to leave any food on your plate. When you go out to eat, usually the person who invites everyone out is the one who pays for everything. Don’t try to give them money when they are laying it out at a restaurant. If you would like to contribute, you should talk to them before lunch or dinner. In terms of tipping, it is generally included. Austrians usually tip less than ten percent. Rounding up is usually the safest way to do it. If a meal costs you 10.50 Euros, then leave 11 Euros at most. In terms of drinking, the customs differ on what area of Austria you are in. Eastern Austria is more known for its wine. Vineyards spread throughout the areas of Styria, the Burgenland, Lower Austria and Vienna. Some famous Austrian red wines include Zweigelt and Sankt Laurent; famous whites include Grüner Veltliner and Schilcher. 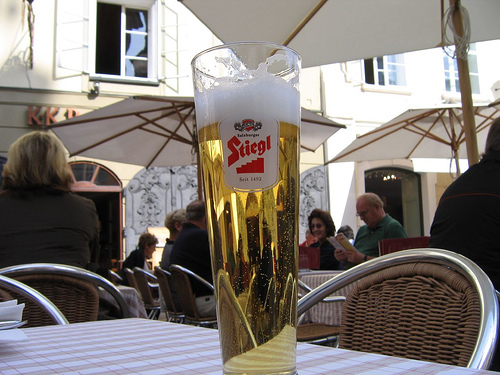 Beer is more common in Western Austria. Salzburg is a famous beer region in Austria, as it has been influenced by Czech and German culture. Be careful for “Bock” or “Bockbier,” which has an alcohol content around 10%.